It takes a lot of time and dedication from thousands of volunteers for a community theatre company like Sherard to thrive for thirty years. Though it is important to say that we wouldn’t be here if it wasn’t for a group of very special individuals – our founding members – who all put in a $100.00 each to put on a production of Trial By Jury (another great Gilbert and Sullivan operetta) over 30 years ago. And how did they come up with the name Sherard? Well, the group performed both in Sherwood Park and Ardrossan and so it seemed logical enough to combine these two names. And that’s how Sherard was born. We thank you for your dedication and for giving us Sherard! 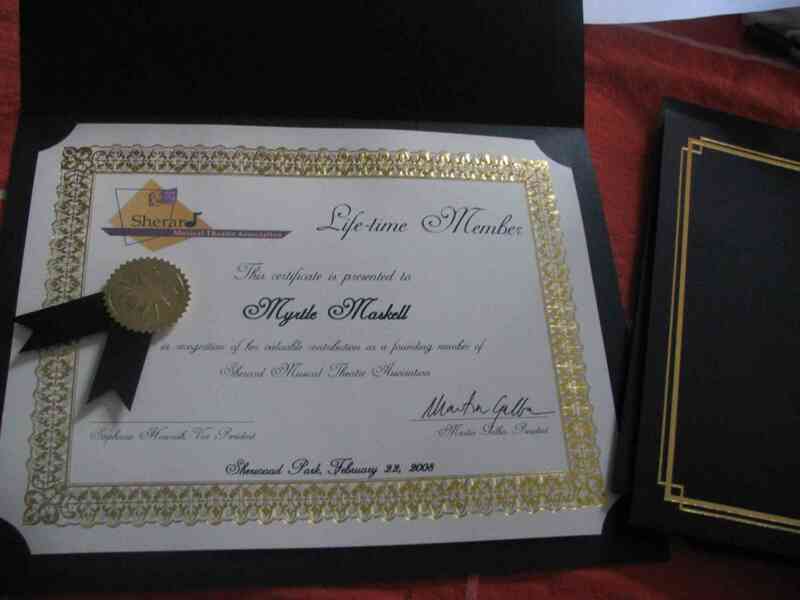 Our founding members were awarded Life-time Memberships on February 22, 2008.